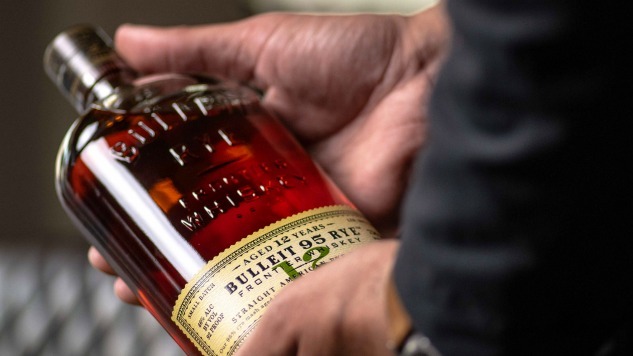 Bulleit has a new rye on the market, a new limited-edition 12-year-aged whiskey that serves as an extension of Bulleit Rye, which has one of the highest rye percentages in the market. “When we introduced Bulleit Rye, it changed the game for the category and positioned us as a brand willing to take chances and try new things. We’re constantly experimenting and striving to satisfy consumers’ growing appetite for bold, new American whiskeys,” said Ed Bello, Bulleit Frontier Whiskey US & Global Brand Director. Those 12 years in the barrel give the new 12-year whiskey a distinctive flavor that sets it apart from Bulleit’s traditional rye offering. Bulleit says that the 12-year is a bold rye that has notes of dried orchard fruits with a hint of baking spice and oak on the nose. On the palate, you’ll find flavors of dried pear, light toffee and oak, as well as graham cracker sparks. The whiskey finishes with light wood and spice notes.